Being unemployed is a very personal journey; and the job search process is one where a person experiences loneliness, anger, despair, fear and anxiety. 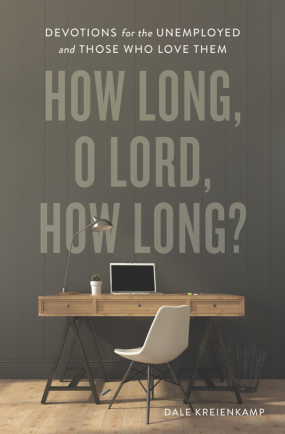 How Long, O Lord, How Long? is a book of devotions written by someone who knows, in order to offer help, hope and healing to anyone who is, or supporting someone, on this journey through unemployment. For more than two decades now, over 20 million people in America become unemployed each year through a layoff, a discharge or a job elimination. More members of your congregation or community will become unemployed in a year than will be diagnosed with cancer, be divorced or pass away, yet it often goes unnoticed because they don’t talk about it. Join the mailing list for our weekly blog covering issues related to the unemployment journey, engagement at work, job searching tips, event updates, and news.